President Muhammadu Buhari has cried out, saying that leading the people of Nigeria was a huge task. In a manner that suggested that the weight of the present challenges facing the Nigerian State was telling on his leadership, the president urged his Ministers and indeed, Nigerians to pray for the country. He however said that instilling patriotic spirit in the people for the benefit of especially posterity was a task that must be done. He noted the month of Ramadan as a special time when God listened and answered prayers of the faithful. 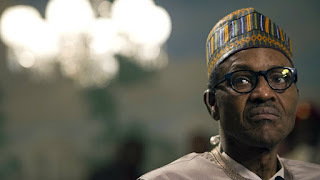 The President spoke Tuesday night while breaking fast with members of the Federal Executive Council (FEC) who were mainly his Ministers at the presidential banquet hall of the Aso Villa, Abuja. He said: “It strengthens our resolve to build our country to make it stronger and to make sure that the incoming generations are sufficiently motivated to be patriotic. “It is no news that we are the biggest country in Africa, we are the economy engine of Africa, which are true by the way. “But, we must always be patriotic in our dealings with others. “This (Ramadan) month of prayers and service to God, let us keep on these prayers all the times, believing that God in His infinite mercy will listen to our prayers, give us peace, security and better the economy once more, so that we can quickly rebuild and even do more for the country. “Let me assure that the time of Ramadan is making us more conscious of what leaders at every level ought to do, and leading the people is not a joke. It means accepting responsibilities for good or wrong,’’ he said. Recalling the economic challenges and the agitations for the sovereign state of Biafra, President Buhari reminded the people of the Nigerian Civil war that claimed over 2 million lives. “We need a lot of prayer. Certainly, with the nation’s economy going down. Haven’t developed the agriculture, we are still trying to talk on those who will come and develop the solid mineral for us. “The militants in their various homes. We need to reflect very seriously on what happened between 1967 and 1970 where about two millions Nigerians lost their lives. “And at that time, as young military officers, you hardly heard of anything about petroleum or whatever money you got from it. “Look at what Gen. Gowon said; `To keep Nigeria one is a task that must be done’ and every soldier whether he has been to school or not knew what the General meant. “But, we were quarreling with our brothers, we were not fighting an enemy and then somebody is saying that once again he wants Biafra. “I think this is because he was not born when there was Biafra. We have to reflect on the historical antecedent to appreciate what is before us now and what we intend to leave for our children and our grand children,’’ he warned. President Buhari thanked the ministers and other members of the cabinet who have identified with his government despite all odds. Vice-President Yemi Osinbajo, who spoke on behalf of members of the FEC, expressed gratitude to the President for inviting them to break the fast with him.